Michelle began studying martial arts at the age of 9. She is a first generation Senior Black Belt under Olohe Solomon Kaihewalu, and the only woman instructor. She has been a competitive athlete, professional Polynesian dancer, and a model. Michelle is a relentless advocate, instructor, and author of women’s self-awareness and defense. She was a director for America in Defense (AID) where she led and taught pilots and flight attendants air cabin crew safety (close-quarter combat) as a result of September 11, 2001. She also instructs self-defense for a local Southern California college and community programs through her Super Hero Experience (S.H.E.) Program. Michelle is known and respected for her martial arts skills and work as a TV host, fight commentator, fight actress, and narrator for film and TV. She continues to book various teaching, modeling, film, television, theatre, print, and radio projects. Michelle has graced the pages of various newspapers, Inside Kung Fu, Sports Illustrated, Martial Arts Masters Magazine, Seni Beladiri (Malaysia), Tae Kwon Do Times (Korea), All About Martial Arts, and Martial Arts Illustrated UK. She is a Masters Hall of Fame inductee (2006), World Black Belt named her Martial Artist of the Month (2002), inductee Argentina Martial Arts Hall of Fame (2016), and inductee Munich Hall of Honour (2017). Michelle has worked as a live ringside fight color commentator, host of the Masters Hall of Fame World News, host/producer of Silk Warrior TV, host/producer of Influential TV, and as contributing author to several literary and documentary works. Michelle grew up in Southern California and also lived in Chicago for seven years. During her time in Chicago, she toured the Midwest as a professional Polynesian hula dancer. She began modeling as a bridal runway model at the age of 5 for The House of Brides. She is a graduate of John Casablancas, John Robert Powers, and Barbizon, and was named Orange County Model of The Year in 1986. Michelle has had a successful twenty year career as a legal and business professional, consultant, mediator, leader, and teacher. She has taught for a private Southern California college and has sat on several college boards as an academic advisory member. She has earned a Certificate in Paralegal Studies, Juris Doctorate, Diploma in Leadership for Senior Executives from Harvard Business School, and an Associate Certificate in Project Management from George Washington University. She is a candidate for an MscD in Metaphysical Science (2017) and PhD in Philosophy (2020). Kumu Michelle will be teaching several workshops over the weekend on the martial arts techniques of the Hawaiian system of Kaihewalu Lua. An exciting and unique opportunity with Kumu Michelle will be the S.H.E. (Super Hero Experience) self defense workshop for ladies only (sorry guys!) on Saturday, August 12th from 1p - 3p. If you are registered for the entire weekend, then this is included in your registration price, but you still need to RSVP. When you go online and register, you will have an opportunity to select this option. If you are not joining us for the whole weekend, you can purchase this workshop separately for $75. This will be running concurrently with a kids "Stranger Danger/Bully Self Defense" karate party for the 4, 5 & 6 year olds with Master Rollend Nery and a traditional Hawaiian Haka class with Professor Aiau Koa for the 7 - 12 year olds. (Both kids classes are included if you are enrolled in the S.H.E. workshop). If you are not enrolled in the S.H.E. workshop, you may still bring your kids to the Karate Party and/or Haka class for $15. 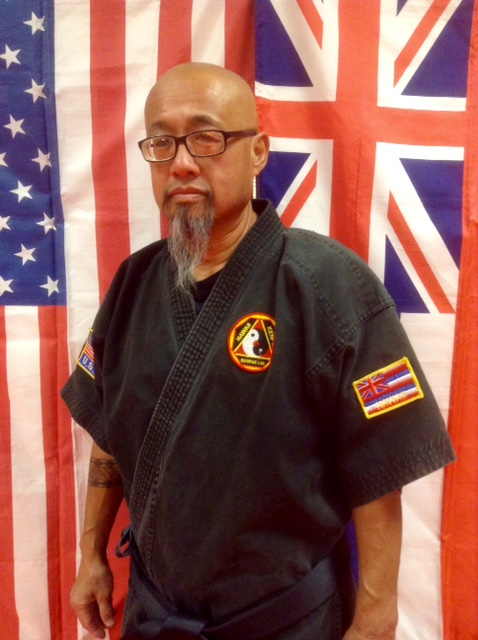 Professor Aiau Kauka Koa was a long time student of Abe Kamahoahoa in the Pilau style of Kenpo and Kajukenbo. He is currently a Harbor Patrol officer on the island of Maui, in Hawaii. He is a gifted martial artist, Haka performer, Hula dancer and musician, with a kind and compassionate heart. He is vitally interested in the heart and soul of the martial arts and exemplifies the spirit of "Ohana" or family in the martial arts. He has worked as a personal bodyguard for Steven Tyler and conducted workshops and seminars in many countries. Abraham Kanekaua Maunakea Kamahoahoa, known to his friends and family as "Brother Abe", was a mountain of a man with a heart to match. Born December 7th, 1924. He was a successful and beloved man to his family and his many, many friends. He was proficient and devoted to the Martial Arts, rising to chief instructor and 9th degree black belt. He was a man who possessed brutal strength. He started his first martial arts training with Professor Henry Okazaki in Judo. Brother Abe was also an amateur boxer and an amateur wrestler, before his Kenpo Karate training with Professor William K. S. Chow. He was with the Professor for 20 continuous years. In the late 60's he befriended Sijo Emperado and joined the Kajukenbo Self-Defense Institute. He remained a student, friend, and supporter of Sijo Emperado and Kajukenbo until his passing on March 3, 1988. Born in Yokohama, Japan and trained in Hawaii, Sōke George Lim has been exposed to the best. With over 40 years of martial arts experience, he represents the teachings, training and techniques of Professor Marino Tiwanak and Grand master Allen Abad. Grand master Lim has traveled and taught nationally, as well as internationally & is able to fuse the traditional and contemporary in a way that defies your wildest expectations. Professor Lim and his wife Aunty Patrice Lim are headquartered out of Phoenix, Arizona, where they oversee over 20 schools worldwide. Professor Lim has been an instructor at the Gathering of Eagles since its inception in 1999. His classes are always well received and full! Available for private lessons and seminars in the United States and abroad. Workshop topics include: Self defense, Teaching methods & tools, Martial arts business success. References available upon request. The tide goes in and out everyday but some things happen once in a lifetime. Don’t miss a unique opportunity to learn from such an inspirational teacher! Hula classes, demonstrations and history! Keola's Hula Halau is under the direction of Harrilyn Keali'iheleaupuni Range Aiwohi, Charman Keola Aiwohi Sr., and their daughter, Kumu Hula Deslynn Kaliliokalani Aiwohi Carter. Born and raised on the island of Oahu, Hawai'i, Keali'i and Kalili began their hula training with Na Kumu Hula Louise & Luka Kalei'iki from Ilima Hula Studio in Honolulu. 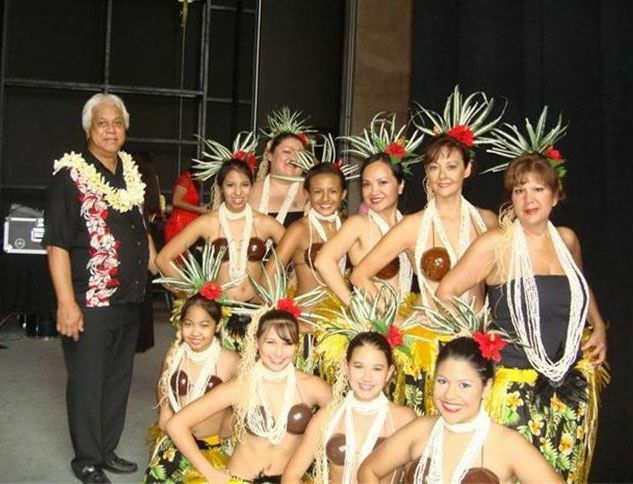 When they moved to Texas in 1982, they continued their hula with Kumu Frank Keli'i Chang, Uncle Richard Peters, the Jus' Hawaiians and the Hawaiian Islanders Polynesian Revue. In 2003, the decision was made to open a hula school in the city of Dallas. Along with Kumu Kaliliokalani's four sons, who also dance and sing with the halau, the Aiwohi and Carter ohana are a close knit family and Keola's Hula Halau is a product of their love of their 'aina and their culture. Come and share the aloha with us! Tattooing at the GOE event in Dallas! My introduction to employment in the arts was at the Denver Art Museum in 1978 as a student intern under Richard Conn in the Native Arts Department. Upon completion of my Bachelor's degree I accepted employment at the museum where I continued for three years in various capacities (Assistant Archivist, Herbert Bayer Archives; Assistant Curator, Native Arts Department; Assistant in Special Installations). In order to pursue a graduate degree, I later relocated to Hawai'i and enrolled at the University of Hawai'i at Manoa. Although initially enrolled in the Art Department, I transferred to Anthropology seeking a more multi-disciplinary approach. While at UHM I had a half-time lecturer positions in the Art History and a teaching assistantship in Anthropology for the duration of my graduate studies. Since completing my MA, I have been largely self-employed as a tattooist and have had occasional freelance and contractual work. I regularly substitute and guest lecture for several instructors at UHM and I've lectured extensively at various conferences and institutions. My contractual work has included involvement in several documentary film projects (CBS News 48 hours, A&E's Ancient Mysteries, the History Channel), as well as guest curating and participating in numerous museum and gallery exhibitions (Honolulu Academy of Arts, Mission Houses Museum, Museo de Arte Contemporaneo among others). I've continued to lecture and write both for academic audiences as well as general interest magazines and am available to guest lecture on the arts of the Pacific. References and details provided upon request. Also, the FAQ link on my website has quite a bit of info on the process and may be helpful. To secure an appointment, an advance deposit of $100 is required. Priority in scheduling is on a first come basis, according to when your deposit is received. You can sign-up at any of the following locations or you can sign up by mail. Deposits can also be sent instantly via PayPal, but please phone Tricia in advance to notify that you will be doing so, and to confirm availability.